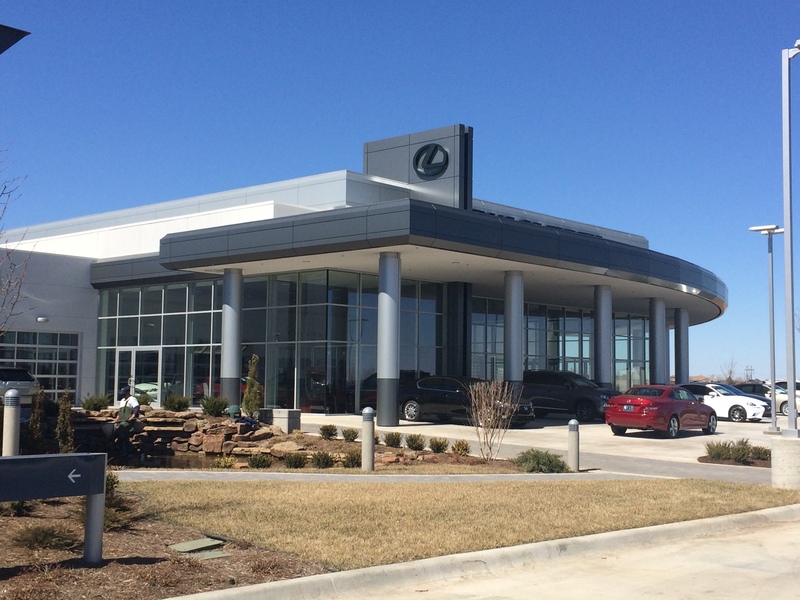 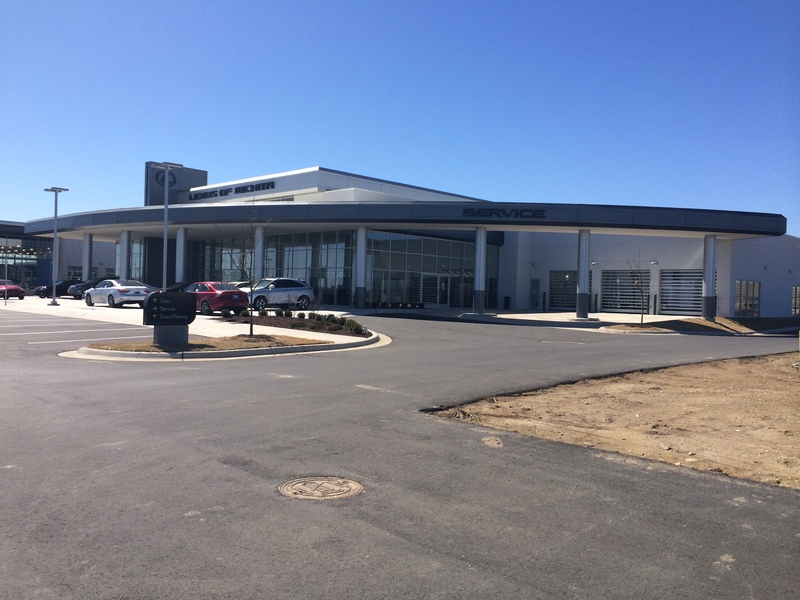 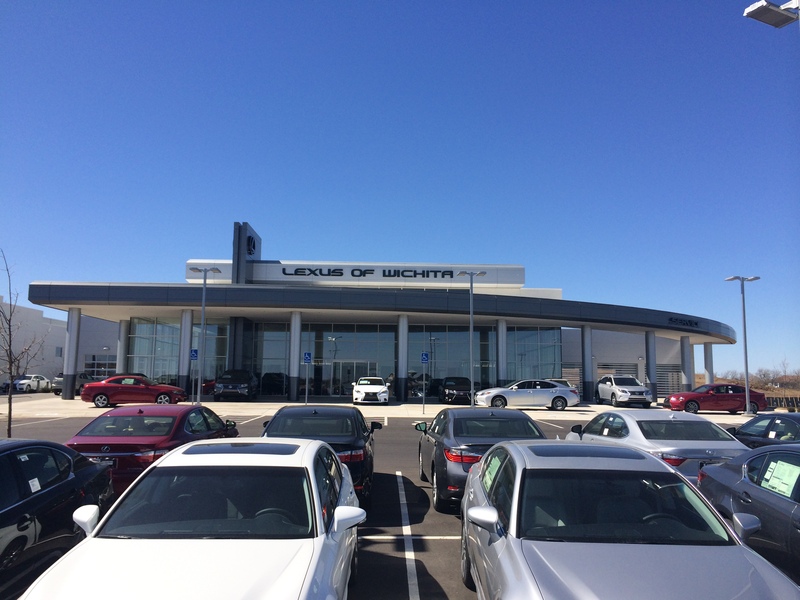 Lexus of Wichita featured fabrication and installation of our Series 20 with complex radius fascia panels on a multi-faceted substrate design. 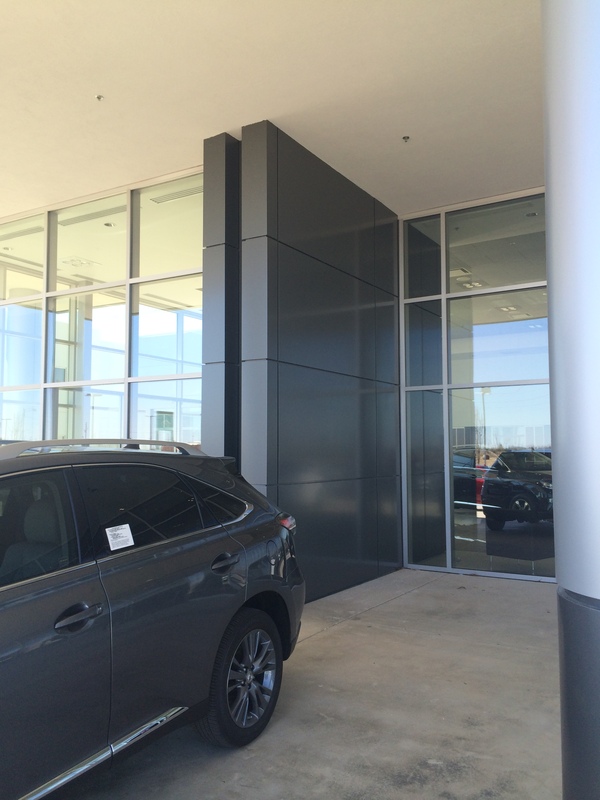 The MDSI ColumnMax™ Column Covers were also utilized with complimentary colors of dark grey and silver ACM. 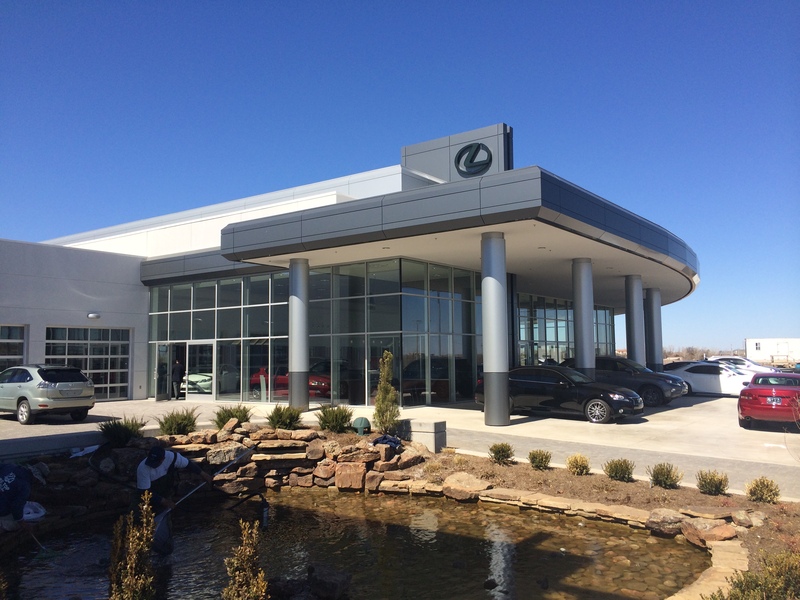 The knife wall panels continue from the exterior of the façade to the interior with a coordinated panel joint layout for a seamless transition of the feature wall for the dealership. 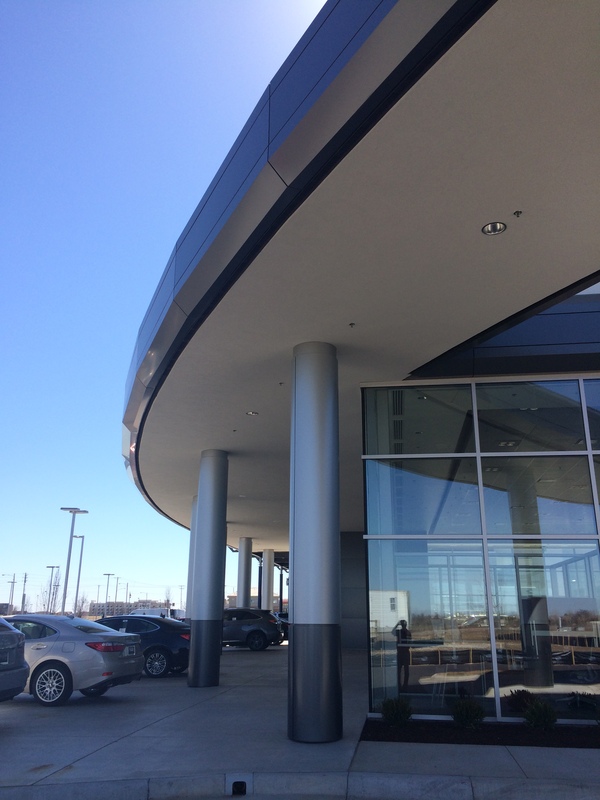 ACM was wrapped around the top of the feature wall to give a full color finish into the split design of the architectural element. 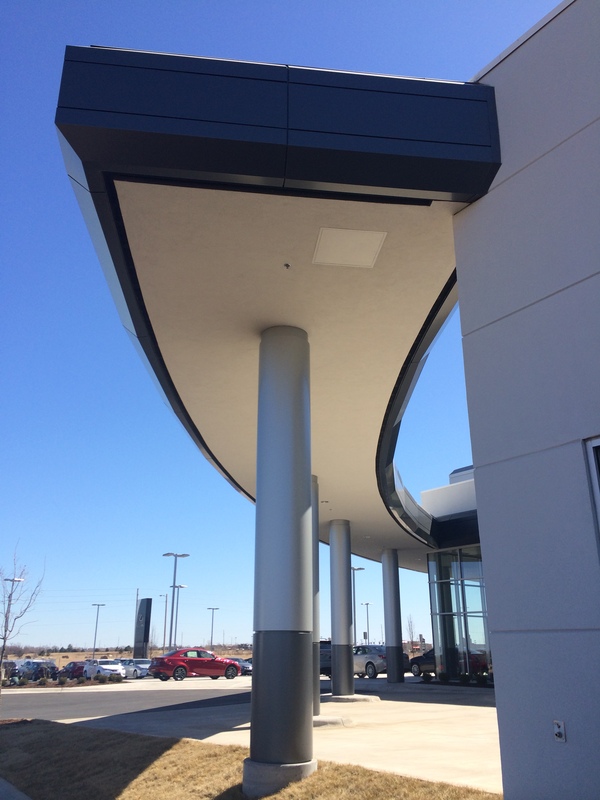 Additionally, sheet metal and flashings were fabricated and installed to complete the project.